Our dedication to quality dates back to 1806, when Francis Edmonds opened Swedes Iron on Long Wharf in Portland, Maine. When Mr. Edmonds retired in 1850, his partner Eben Corey took the helm and established E. Corey & Co. It would stay in the family until 1965, when American Steel & Aluminum made the Coreys an offer they couldn’t refuse: they pledged to run the company with the same integrity, quality and devotion to customer satisfaction that had made it a New England fixture for 150 years. 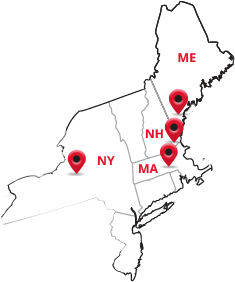 Our Maine office and warehouse remain an integral part of our business. 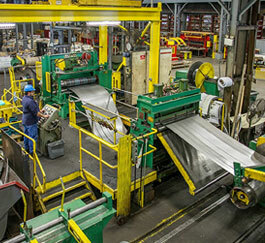 Together with our flagship headquarters in Auburn, Massachusetts and an additional site in Syracuse, New York, we have an unprecedented reach for quick and courteous next-day metal delivery to all of New England, upstate New York, and New Jersey. We’re still helping to build America through solid long-term relationships and contracts. Our massive in-house inventories allow us to respond quickly to large and small orders that support U.S. Navy Shipbuilding, Truck Tank Manufacturing, Stadium Seating, National Defense, Precision Machining and so much more. We haven’t lost sight of our roots, either—we’re as happy to serve the U.S. government as we are to support the small, job-shop metal man.